Born (1962) and raised in New York City, Mr. Zimmerman has undergone his undergraduate and graduate studies at Brooklyn College, majoring in Judaic Studies. Following a brief stint in Jewish community work, he moved to Israel in 1988. 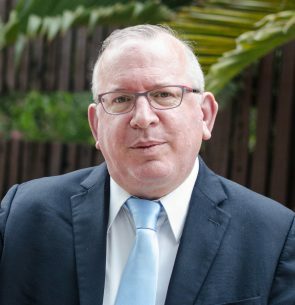 Initially living on a kibbutz and working as an irrigation manager in the orchards, Mr. Zimmerman began his career in higher education management in 1993 and joined Bar-Ilan University’s Research Authority. Now, he is a Director of Research and Global Engagement at IDC Herzliya. Progress in all forms is made by teams. People are what makes an institution. Cross-border multi-international collaboration addressing global and local challenges is accomplished by people who trust each other. These people, international educators all, are the trust 21st century social engineers, building sustainable bridges between people.